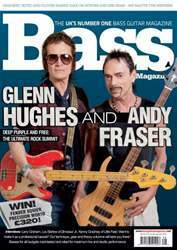 Glenn Hughes and Andy Fraser, who between them have played more stadiums, clocked up more first-class air miles and squired more attractive companions than you’ve boiled bass strings, are some of the few rock stars of a 1970s vintage who are playing as well and prolifically as they ever did. 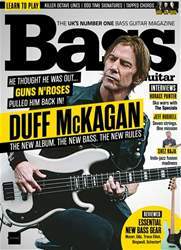 It’s an enormous privilege, then, that they agreed to let BGM sit them down in a Los Angeles eaterie a while back, order them a skinny latte and a salad (hey, the bad old days are gone!) 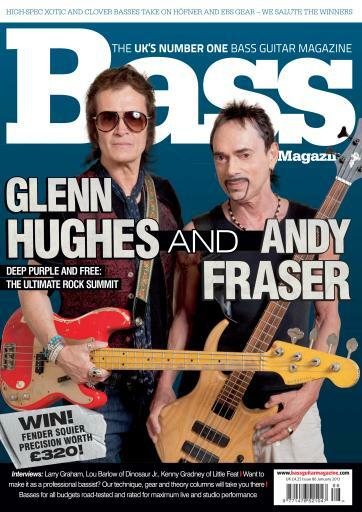 and persuade them to interview each other about their lives as bass players and rock figureheads. 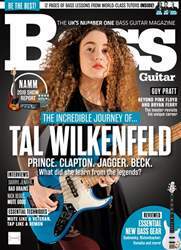 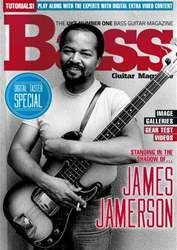 Elsewhere in this issue you’ll encounter candid interviews with the great Larry Graham, who is unique among people in the bass world in that he has Prince on speed dial; Lou Barlow, he of Sebadoh and Dinosaur Jr.; and Little Feat bassist Kenny Gradney, a true 1960s warrior. 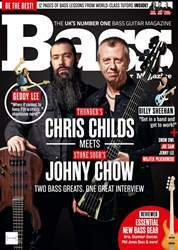 That’s quite a line-up, even though we say it ourselves, and that’s before we even get to the reviews, where you’ll find two high-spec, high-priced basses, a budget model, two combos and a bass ukelele (yes, you read that right).